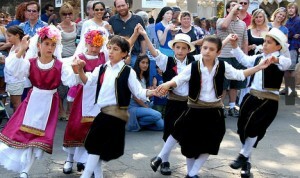 Cultural festivals are great for trying something out of the ordinary. Food, music, entertainment, shopping, and activities fill these days up. You will feel like you’re traveling abroad! July 17-18: Santa Barbara French Festival attracts over 20,000 Francophiles for two days of French food, music, dance, libations and more at Oak Park with free admission and parking. July 31-August 1: The Greek Festival dishes out the sights, sounds, aromas and flavors of Greece. Greek pastries too, my favorite! The raffle is a free trip to Greece, so don’t miss it. August 4-8: A community tradition since 1924, Old Spanish Days Fiesta is a lively and colorful five-day, city-wide celebration featuring food, drink, music, dance, rodeo and more. Also featuring Mexican-American food, which means sangria AND margaritas! September 17-19: Solvang celebrates its 74th annual Danish Days with plentiful folk dancing, entertainment, shopping, traditional foods and more Scandinavian flavored fun. Try entering the Aebleskiver Eating Contest! 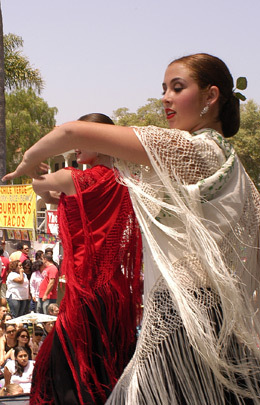 Most of the great Santa Barbara festivals take place on State Street, the shopping and restaurant downtown district. Another great festival to check out is the Solstice Festival in June! If you want to find a hotel right in the heart of the action that won’t make too big of a dent in your pocketbook (as many hotels in Santa Barbara unfortunately will), check out the Sandman Inn (www.sandmaninn.com). It’s within walking distance to all the main festivities, and is a quaint and relaxing escape from the raucous party! Old Spanish Days or Fiestas in Santa Barbara is so much fun and well worth the experience. There are booths and food for miles and eggs full of confetti to crack on people’s heads! The live entertainment and dancing is a total blast and the clubs at night are more then packed. There are plenty of places to stay in Santa Barbara but my personal favorite would be the Sandman Inn (www.thesandmaninn.com). Right in the thick of it, it is a great place to stay if you are traveling on a budget. If you want to escape the noise of downtown a great place to stay would be the South Coast Inn (www.santa-barbara-hotel.com). So elegant and a great place to get some much needed R&R after those long days out! The cultural events in Santa Barbara are by far the best ones. French, Spanish, GREEK are all exceptional events and well worth going to. As well-even Summer Solstice is a lot of fun and something to get excited over. The music in the park for all the events along with the food and community is something worth mentioning. I can’t wait for this upcoming year and everything the city has in store for us travelers. I don’t come from that far away (Nor.Cal) but it is a trip for me. I greatly enjoy being in the thick of is so the South Coast Inn (www.goleta-hotel.com) is always my first choice for places to stay!